Come celebrate with us Sunday, March 17 at the 16th Annual Friends of UCOM Benefit Concert. The evening starts with our silent auction at 6:00 pm followed by the concert at 7:00 pm. Light hors d'oeuvres and refreshments will be served after the concert. Join us as we celebrate and embrace the diversity of our community, our supporters, and our neighbors. This year's concert features music from world-renowned violinist Dylana Jenson, acclaimed mezzo-soprano Axelle Pringalle Pelfrêne, and celebrated pianist Philip Pletcher. Tickets are $25 and all proceeds from the event go directly to UCOM. Your donations support life-changing programs for our neighbors. Dylana Jenson has performed with major orchestras in the United States and traveled to Europe, Australia, Japan and Latin America for concerts, recitals and recordings. After her triumphant success at the Tchaikovsky Competition, where she became the youngest and first American woman to win the Silver Medal, she made her Carnegie Hall debut playing the Sibelius Concerto with Eugene Ormandy and the Philadelphia Orchestra. Ms. Jenson was made an Honorary Citizen of Costa Rica for her artistic contribution to her mother’s homeland. 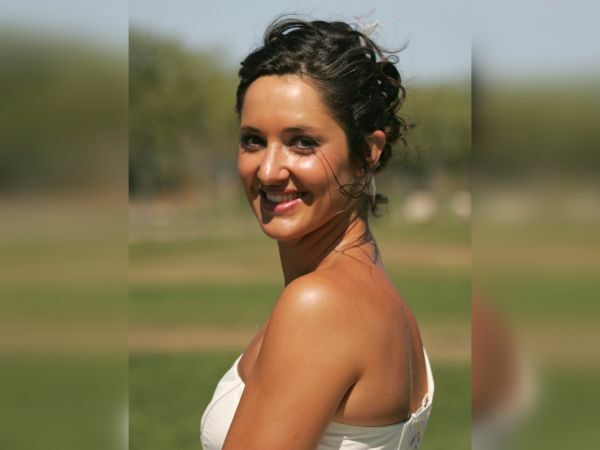 Dylana Jenson comes from a family with a strong tradition in the arts. Her sister, Vicky Jenson, directed the films ‘Shrek’ and ‘Shark Tale’. Her brother Ivan is a painter and poet. Her daughter, Mariama Lockington, is a Hopwood award-winning poet. Her husband, David Lockington, is Music Director of the Pasadena and Modesto Symphonies, and Conductor Laureate of the Grand Rapids Symphony. 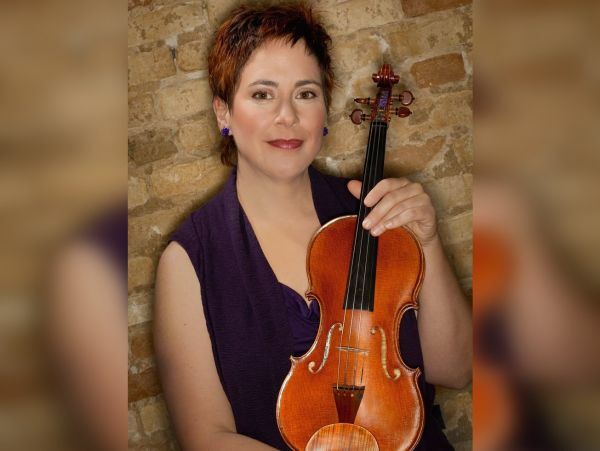 In tandem with her solo career, Jenson has been busy giving Master Classes and teaching at summer music festivals including the Interlochen Arts Camp and the Heifetz International Institute. In her teaching, she uses the Russian technique taught by Leopold Auer and championed by great artists such as Nathan Milstein, David Oistrakh, Isaac Stern and Jasha Heifetz. This method develops a natural physical relationship to the instrument. Axelle Pringalle Pelfrêne is a mezzo-soprano singer from Nîmes, France. At 9 she became alto soloist from a children’s choir, singing baroque, Gregorian and classical masterpieces. At 17, she appeared on television in Jacques Loussier’s Baroque Mass for the 21st Century, Lumières and at 20 she was Linda in Kurt Weill’s musical Lost in the Stars at the Opéra Comédie in Montpellier, France. After graduating with honors from the Conservatoire Nadia et Lili Boulanger in Paris IX, she co-wrote both the musical Mrs. Bonnie Parker & Mr. Clyde Barrow in which she played the role of Anita Maria, and France’s first country musical, the Wild West Ladies, in which she performed as Sally Jo. Axelle was the lead singer for 13 years with the quartet Accordzéâm. The group has recorded three albums combining jazz, folk and gospel with classical music and has performed in prestigious venues in Europe, Algeria and Qatar. In 2012, Axelle came to the U.S. and joined the Chamber Choir of Grand Rapids and the Chancel Choir of Mayflower Church as an Alto Section Leader. Joining Opera Grand Rapids in 2014 with the role of Mercédès in Bizet’s Carmen, Axelle appeared then in Tosca, Orpheus and Eurydice, Romeo and Juliet, Le Nozze di Figaro and in the intimate tango opera, Maria de Buenos Aires. Last year, she was the Countess Ceprano in Verdi’s Rigoletto. Axelle also performed in the World Premiere rhythm & blues opera composed by D. Tappin, I Dream, fusing gospel, soul, jazz, opera and Broadway styles. With Opera Grand Rapids Chorus, she will participate again in the Commemorative Celebration of Dr. Martin Luther King Jr. on January 21, 2019, at Fountain Street Church. On February 1st, Axelle will sing with the Chamber Choir as the alto soloist in Vivaldi’s Gloria, accompanied by the West Michigan Symphony in Muskegon, and, next Spring she will present a French recital accompanied by the pianist Robert Byrens, with pieces from different repertoires, in Grand Rapids. 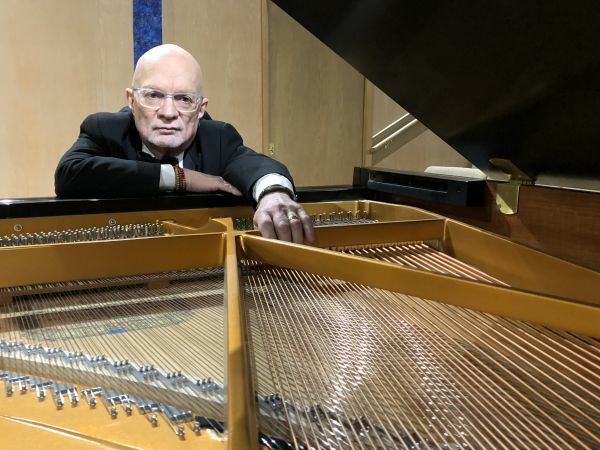 Philip Pletcher, pianist, conductor, actor, composer and arranger, has been active in music since age four and has played throughout the United States and Canada. He is the pianist for Grand Rapids Women’s Chorus and for the Schubert Male Chorus. Phil also plays for Temple Emanuel of Grand Rapids and conducts the Shir Shalom Jewish Choir. Mr. Pletcher received his bachelor’s degree in piano performance from Bethel College in consortium with Indiana University. You can also purchase tickets by calling UCOM at 616-241-4006. Can't make it to the Concert? You can still support UCOM by making a donation today. For more information on being a concert sponsor, please see our sponsorship form. For more information on advertising in the concert booklet see our advertising form.